Specimen 8cm x 4.5cm This Lead Phosphate mineral is relatively rare in Australia, but a beautiful deposit with pale yellow crystals up to 20mm was found in the Mount Bonnie Mine, Northern Territory many years ago. After the mines closure, high quality Mimetite specimens were collected by amateurs for the specimen market. 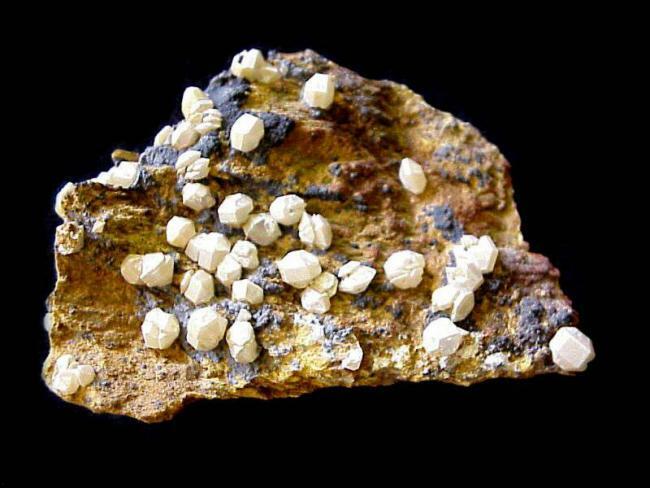 This specimen from that find has 4mm lemon-coloured crystals scattered over an ironstone matrix.